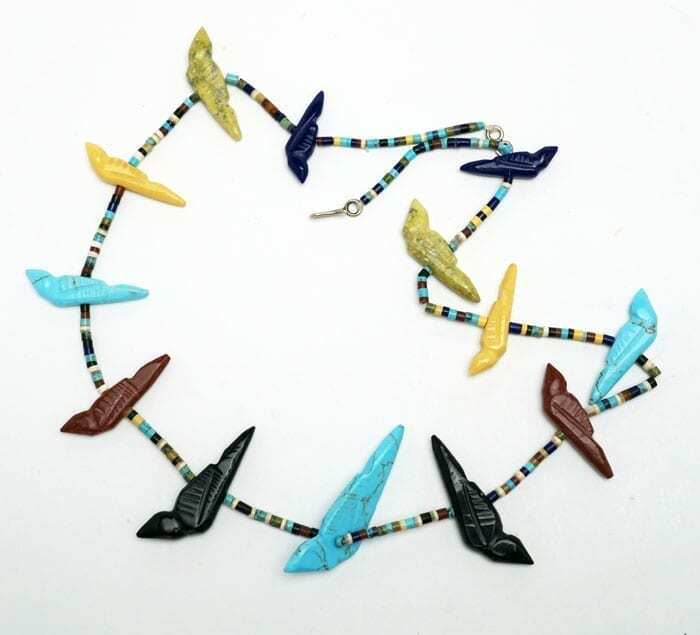 A single strand necklace with a birds carved from several different materials, including jet, serpentine, turquoise, and pipestone. Heishi of similar materials surround the birds. 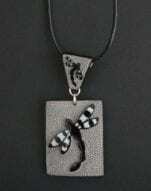 This dragonfly necklace is carved and inlaid with mother or pearl. 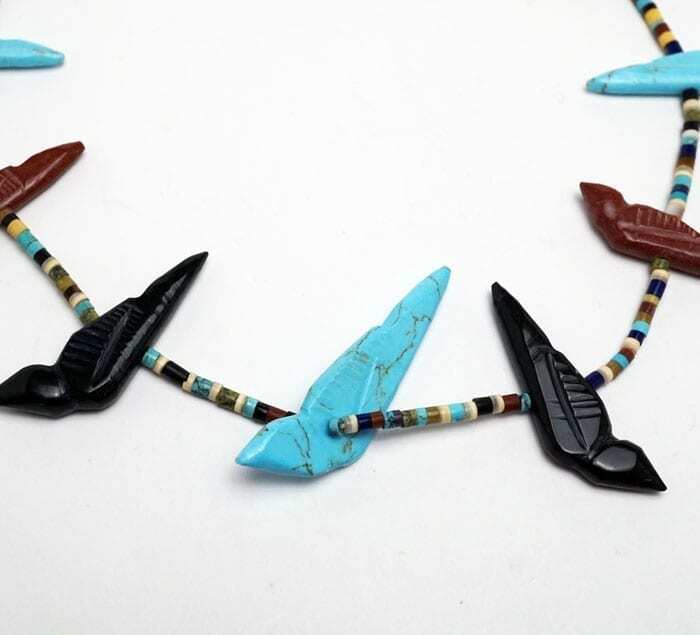 Pourier meticulously carves buffalo horn surfaces and sometimes inlays them with crushed stone and shell. In this case, the stippling of the background provide very evocative setting for the polished black and white dragonflies. 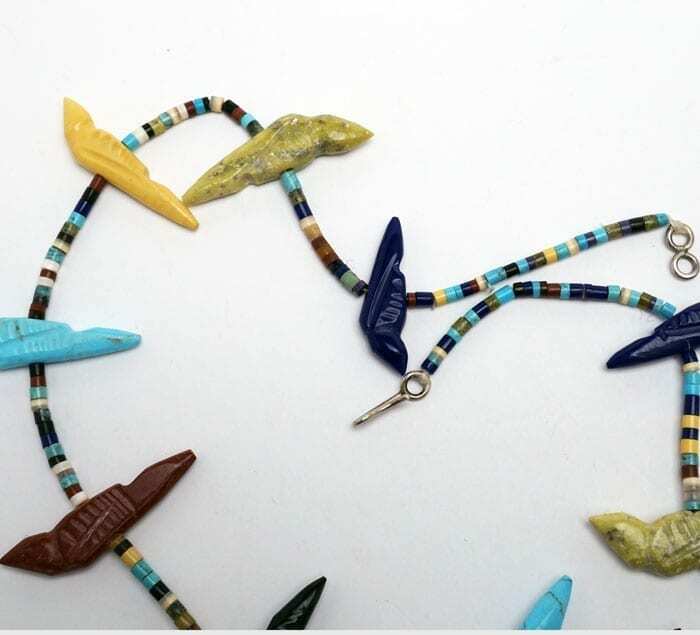 Buffalo horn is so light, this necklace is featherweight. It is finished beautifully, adding a soft, satin touch to the experience. Materials: buffalo horn, leather, sterling silver and findings. Center medallion is approximately 1 5/8" diameter; 1 1/4" tall; 2 5/8" tall including bail. Leather cord is 16"
This sterling silver link bracelet is inlaid with natural Kingman turquoise of a deep blue with beautiful pyrite inclusions, giving it the look of a night sky rich with stars. 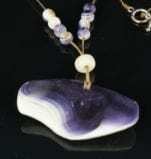 At 7" in length, it will comfortably fit a wide variety of wrist sizes. 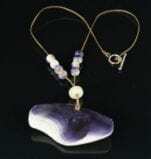 The bracelet is secured by a hand forged clasp as well as a chain.